Do I Have a Disease? How Aggressive is My Disease? How Should I Treat My Disease? If you are a payer or insurance provider, please contact us to receive more information. Interested in Collaborating with Myriad? The golden era of molecular diagnostics is just beginning. Myriad Genetics was founded in 1991, 10 years before the human genome was sequenced, making Myriad one of the first genomics companies in history. Today, Myriad is the pioneer and leader in molecular diagnostics, offering innovative products that transform patients’ lives. These products include leading molecular diagnostic tests for hereditary cancer, urological cancer, autoimmune disorders, depression and other diseases. We are excited about the future and remain committed to advancing the science of personalized medicine as we develop more products to address unmet medical needs. Myriad’s molecular diagnostic products are designed to assess an individual’s risk for developing disease so that action can be taken to prevent or delay its onset. Our diagnostic tests help in the early and accurate diagnosis of disease, when it is more treatable and survival rates are better. Our prognostic medicine products assess a patient’s risk of disease progression and recurrence, so that a healthcare professional knows how aggressively to treat the disease. Our companion diagnostic products identify a patient’s likelihood of responding to a particular therapy to ensure optimal treatment decisions. In 1996, Myriad introduced the first molecular diagnostic test for hereditary breast and ovarian cancer. This test, BRACAnalysis ®, became the standard of care for determining a person’s risk of developing these hereditary cancers and has been followed by several other innovative molecular diagnostic tests for breast, colon, lung, pancreatic, prostate, ovarian and uterine cancers, as well as melanoma. To date, Myriad’s hereditary cancer tests have benefited more than 1.5 million patients. Beginning in 2001, Myriad sequenced the rice genome, which revealed ways to increase crop yields, decrease pest infestation and potentially improve crop management. 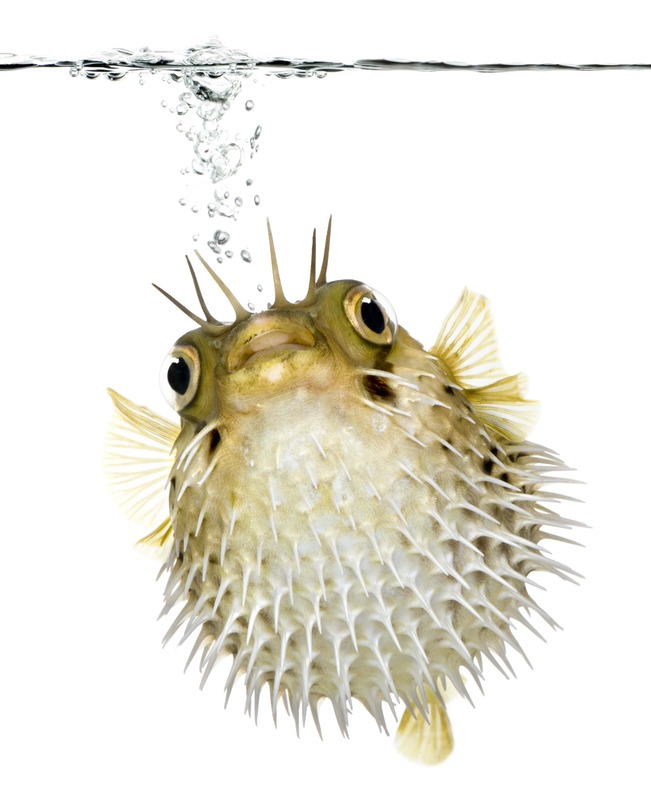 In addition, the genomes of the Pinot Noir grape, Golden Delicious apple and pufferfish were sequenced. 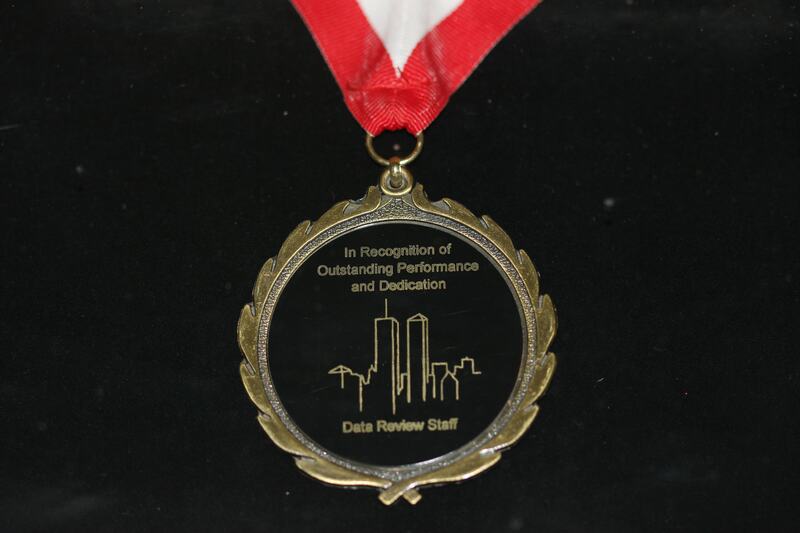 In September 2001, Myriad provided genotyping assistance to the New York City Coroner’s Office to help identify the victims of the 9/11 attacks and bring closure to their families. In addition, Myriad scientists worked with the Scientific Advisory Board for the International Commission on Missing Persons to identify victims of the genocide in Bosnia. The launch of Prolaris in 2010 provided physicians with the first prognostic test that offers a direct measure of the molecular biology of an individual patient’s prostate cancer. By measuring the expression levels of genes involved in cancer cell proliferation, Prolaris is able to more accurately predict disease aggressiveness. Myriad is a pioneer in applying nucleic acid (DNA and RNA) technologies to identifying novel genetic biomarkers that have the potential to save lives and improve the quality of life for patients with cancer or who have a family history of the disease. In 2011, Myriad acquired Rules-Based Medicine of Austin, Texas, a leader in using multiplex immunoassay technologies to discover protein biomarkers. The ability to work with DNA, RNA and proteins gives Myriad a complete complement of biomarker technologies and positions the Company as a leader in the emerging field of companion diagnostics and personalized medicine. Learn more about Myriad RBM. In 2014, as part of our efforts to add to our diagnostic portfolio that is focused on saving lives and improving the quality of life for patients across major diseases, Myriad acquired Crescendo Bioscience, a global leader in autoimmune diagnostics, located in South San Francisco, California. Crescendo pioneered protein-based diagnostics for monitoring disease activity in patients with rheumatoid arthritis and has a pipeline of products under development for a wide range of autoimmune diseases and conditions. In 2012, Myriad expanded internationally with the opening of our laboratory in Munich, Germany. We currently have a presence in 128 countries: 16 in which we have direct subsidiaries and 112 countries in which we have 44 distributors on 6 continents. Our international corporate headquarters is located in Zurich, Switzerland, and we have sales operations in Paris, France; Madrid, Spain; Milan, Italy; Munich and Zurich. We believe that our robust portfolio of diagnostic tests will benefit patients worldwide by assisting healthcare professionals in guiding their healthcare decisions. Myriad launched two important products in 2013: myRisk Hereditary Cancer, a 29-gene panel that identifies an elevated risk for eight hereditary cancers and myPath Melanoma, a gene expression test that is designed to diagnose malignant melanoma. Myriad continued its pioneering work in personalized medicine with the launch of BRACAnalysis CDx in 2014. This test is the first and only FDA-approved companion diagnostic that helps identify women with advanced ovarian cancer who might benefit from treatment with AstraZeneca’s Lynparza™. 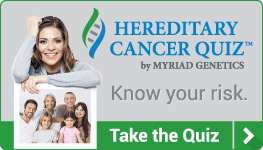 Take a 30-second quiz to help you find out if you’re at risk of hereditary cancer. The Myriad myRisk® Hereditary Cancer test is a 35-gene panel that identifies an elevated risk for eight hereditary cancers. © 2019 Myriad Genetics, Inc.